It’s a new year, which means a lot of new beginnings and hopeful times. It is also the time of year when the holiday decorations are being put away, the new gifts and gadgets need new homes, and it is time to get ready for the second set of taxes – income taxes. This is a great time of year to clear out the clutter! Â Whether you are just starting the new year or getting set to move into a new home, it is a great cleansing time of year. 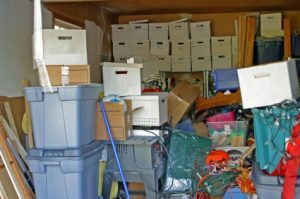 – go thru your paperwork and files and toss what you no longer need to keep – Check out these helpful tips from Suze Orman on what to keep and what to toss. – reevaluate furniture, do you still need that storage unit in the dining room? Â If not, sell it on Craigslist. – donate toys and clothes that you are no longer using, great way to get the kids involved! – clear out the garage, you can also sell that stuff on Craigslist or donate it. Best advice, tackle one area at a time. Â Feel the sense of accomplishment when you finish. Â Happy de-cluttering! What is your best tip for de-cluttering space?